Run Netwrix Auditor → Navigate to "Reports" → Expand the "Windows Server" section → Go to "Windows Server ­– State-in-Time" → Select "Members of Local Administrators Group" → Click "View". 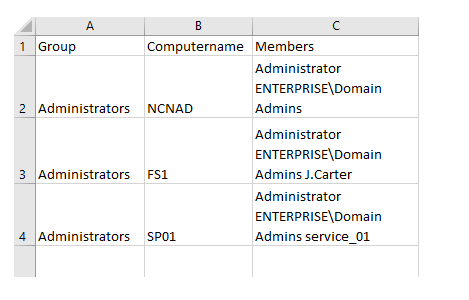 You can use PowerShell commands and scripts to list local administrators group members. 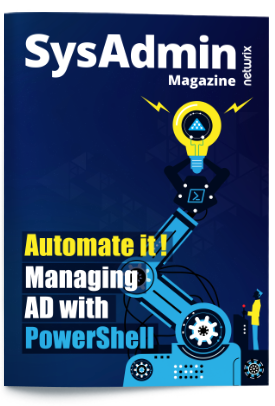 However, this approach requires quite a lot of time, as well as advanced PowerShell scripting skills. Plus, once you’ve exported the user objects into .CSV format, you’ll still face the task of comparing that list of members of each local administrators group to the known good baseline. 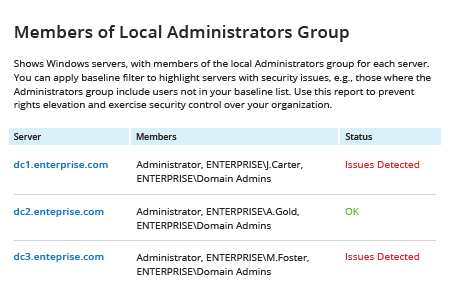 Netwrix Auditor for Windows Server makes it easy to see exactly which users are members of local administrators groups. Regularly review this report to spot security issues, such as a server that deviates from your security policy, so you can quickly restrict access and thereby mitigate security risks. Subscribe to the report to stay on top of local group membership and facilitate good IT housekeeping.